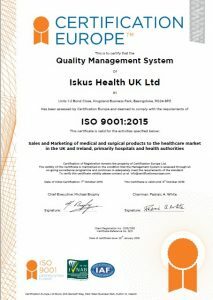 Quality Products & Services are an essential business priority for Iskus Health and we have invested heavily in ensuring our Quality Systems to meet and exceed the current ISO requirements and locally required standards. 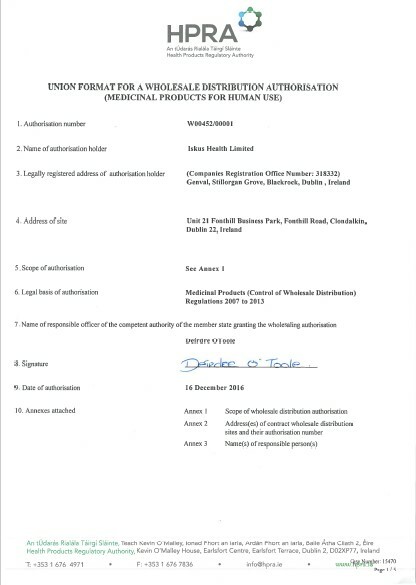 We operate an integrated ISO9001 Quality Management System with ISO14001 Environmental Management System and finally ISO18001 Occupational Health and Safety. ISO 9001:2015 Quality Management System (QMS) is internationally recognised as the world’s leading quality management standard. The standard assists Iskus Health in meeting statutory and regulatory requirements relating to their products & service while achieving excellence in their customer service and delivery. The standard can be used throughout the organisation to improve our performance. ISO 14001:2015 Environmental Management System (EMS) is a systematic framework to manage the immediate and long term environmental impacts of an organisation’s products, services and processes. OHSAS 1800:2007 Occupational Health and Safety Management Certification is an international standard which provides a framework to identify, control and decrease the risks associated with health and safety within the workplace. 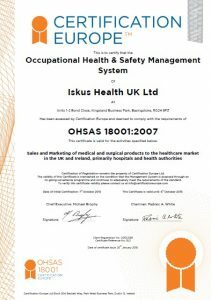 By implementing the standard Iskus Health is sending a clear signal to its customers, suppliers and employees that we view employee’s health and safety as a priority within our organisation. 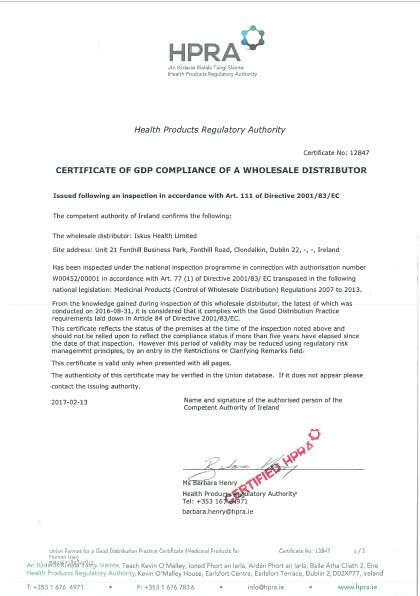 Iskus Health also has “Medicinal Wholesale Distribution Authorisation” issued by the HPRA (Health Products Regulatory Authority) in Ireland. Incorporated within these quality systems is a robust product complaint tracking and reporting systems for the products and manufacturers we represent within the UK and Ireland. All employees have regular training on our Quality System, Policies and Procedures to enhance the service and value we offer to our customers, suppliers and partners. 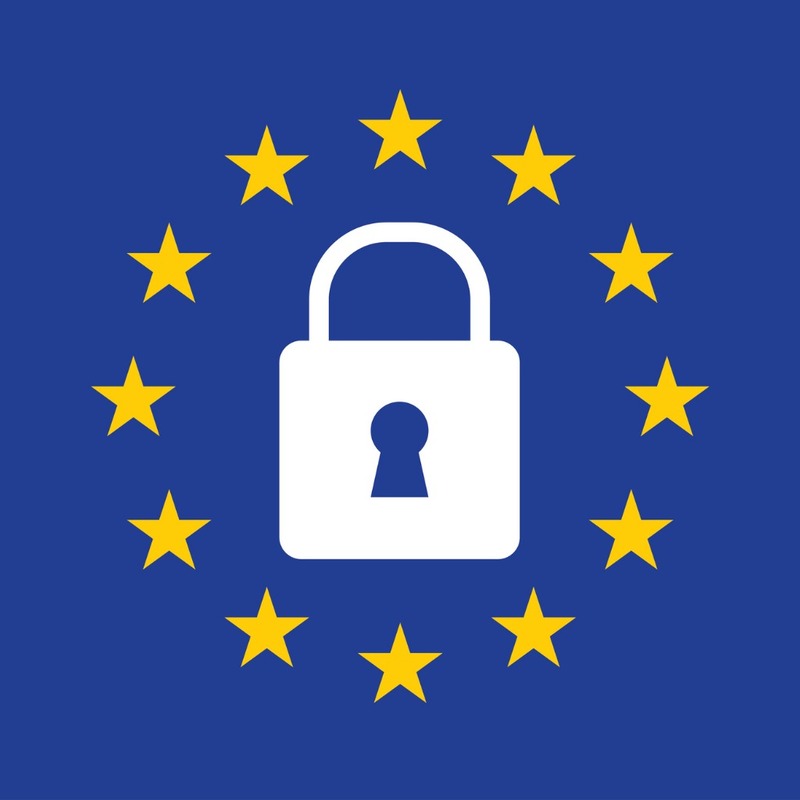 Iskus Health is compliant with all GDPR regulations that are effective on 25th May 2018.